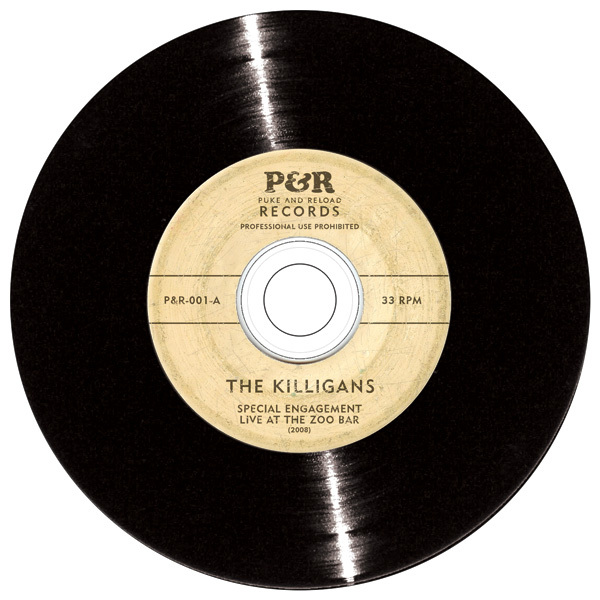 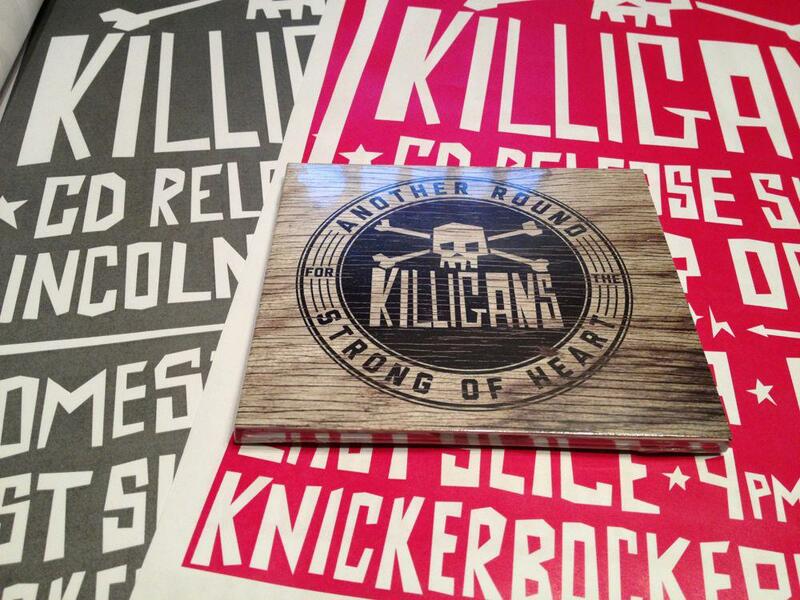 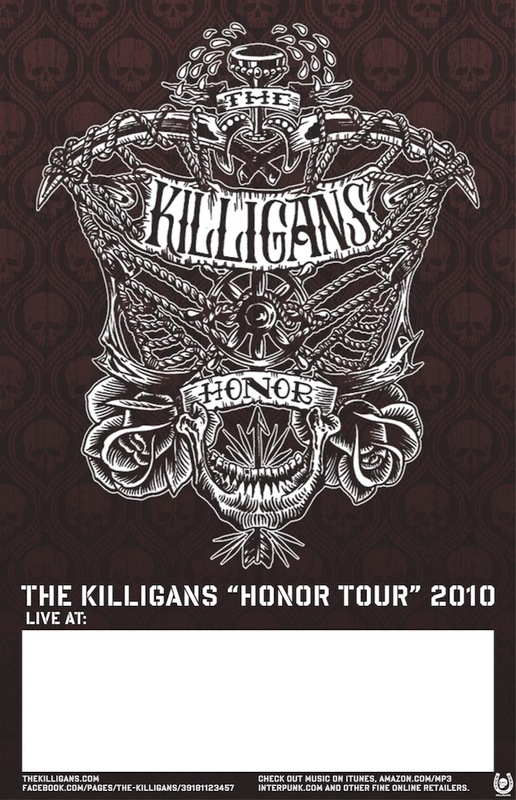 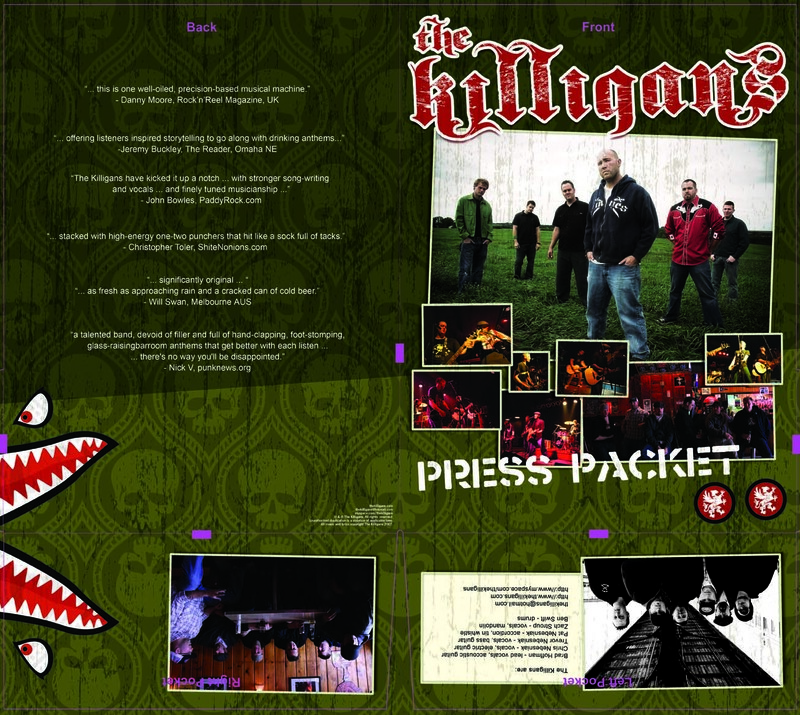 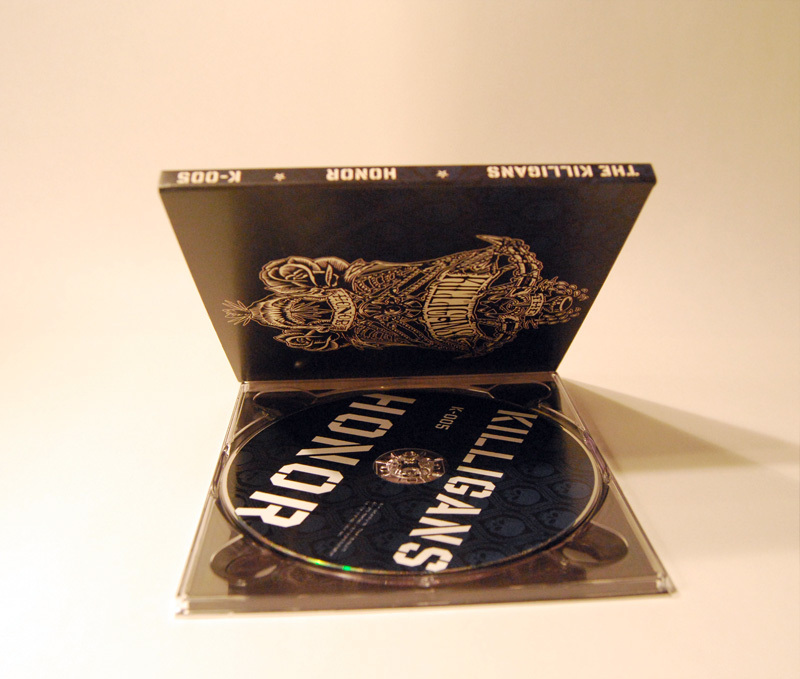 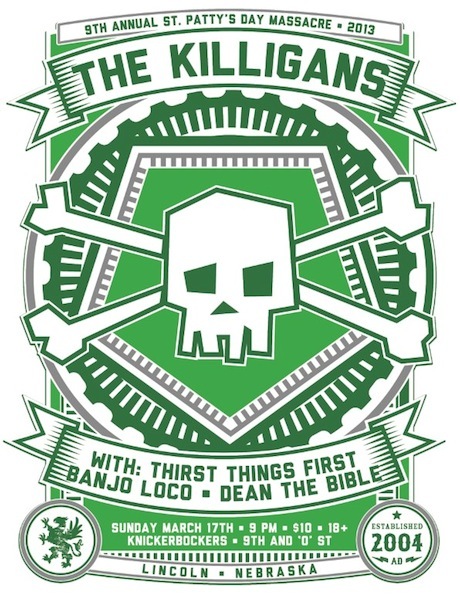 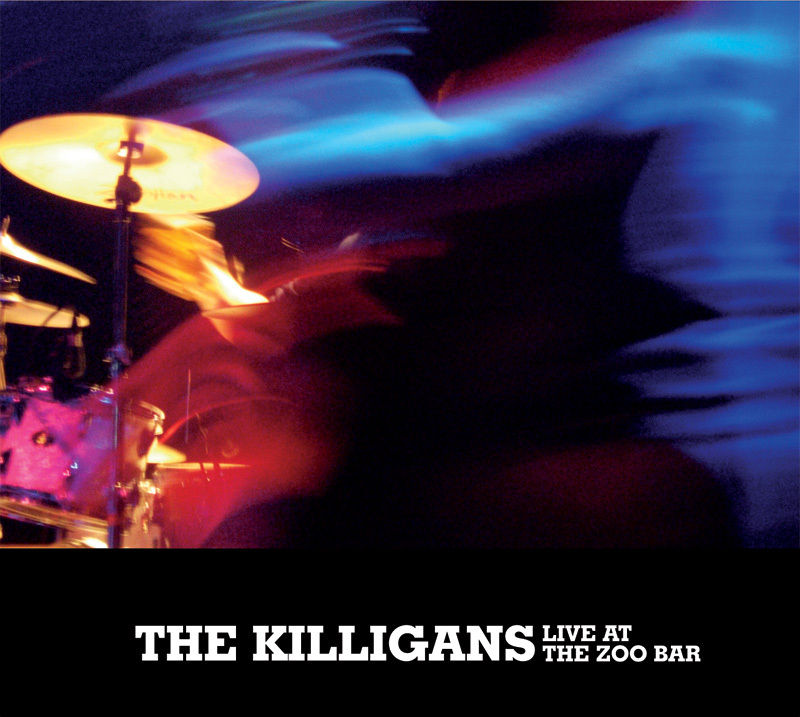 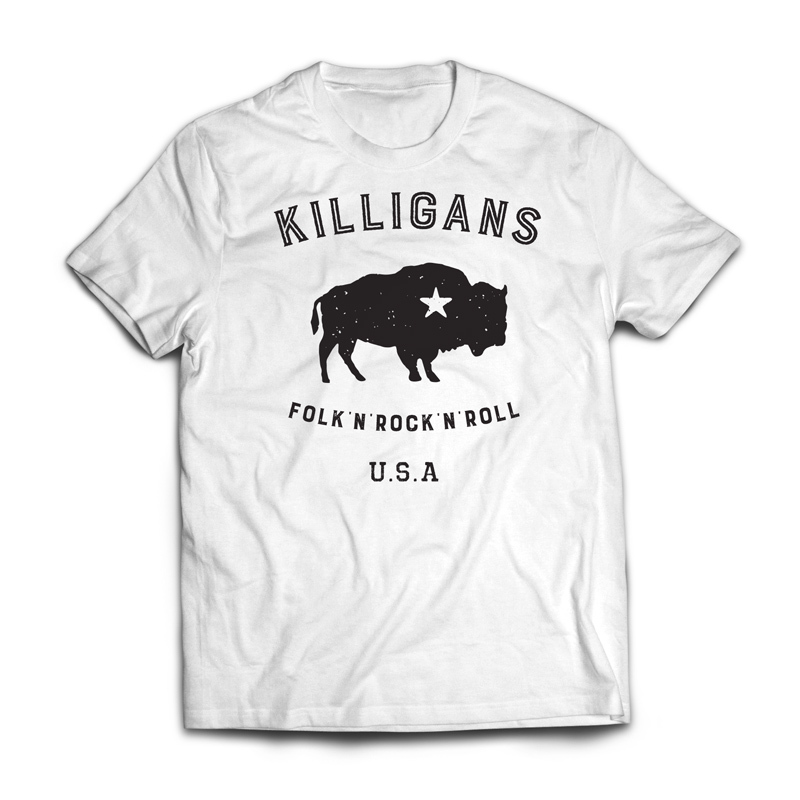 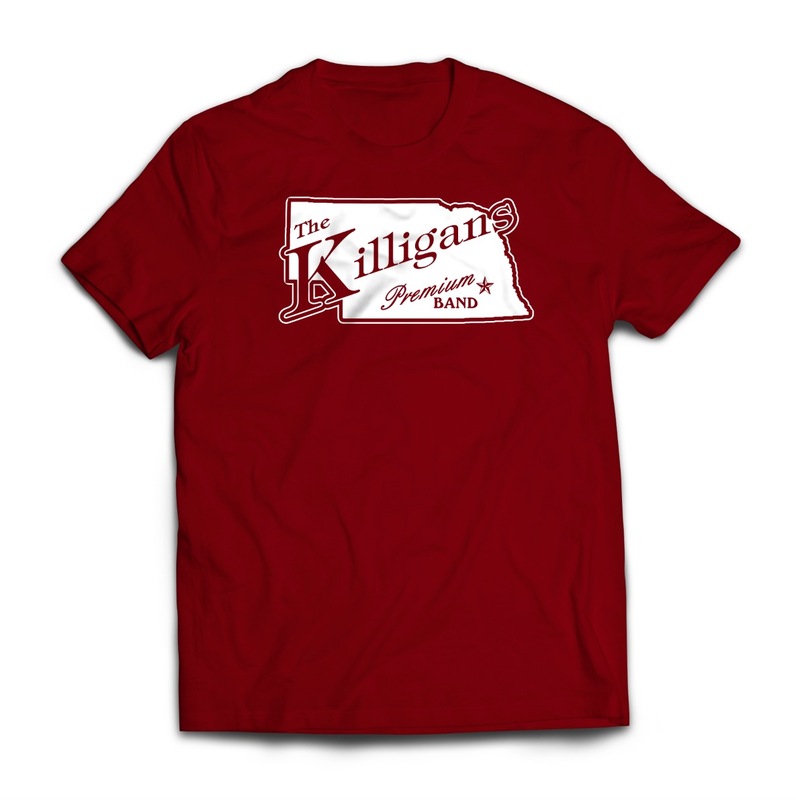 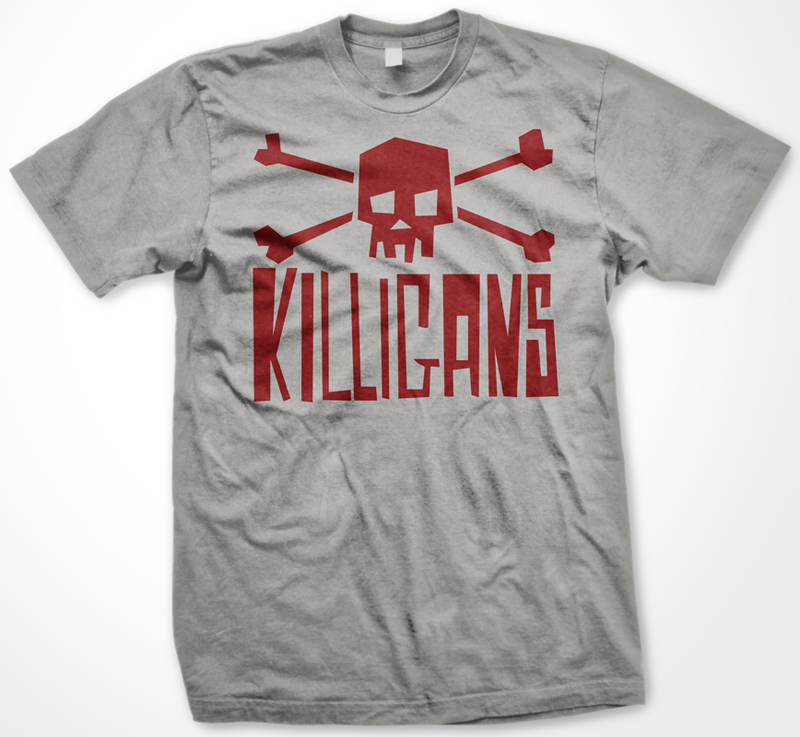 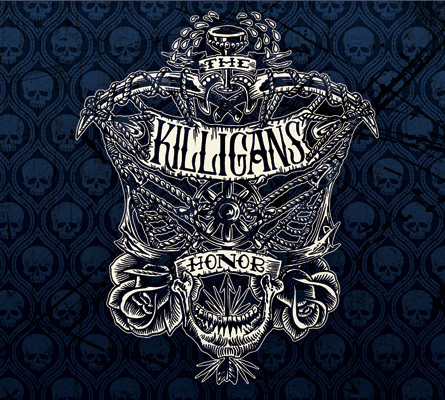 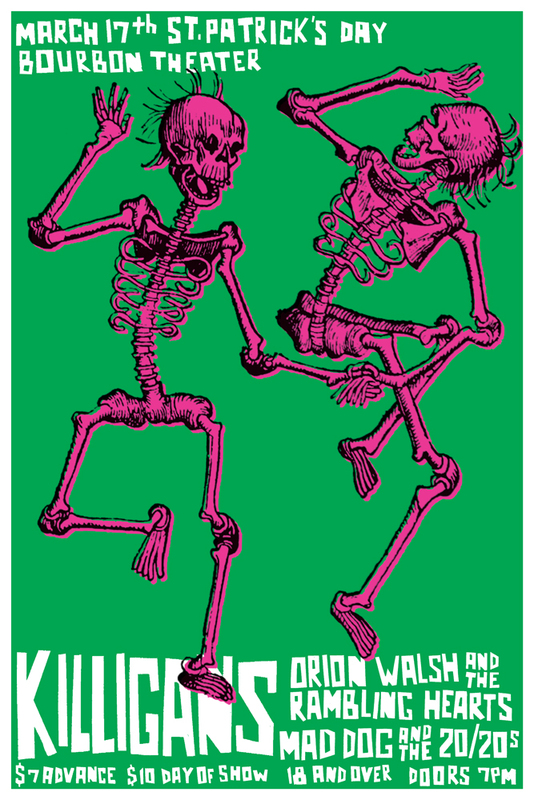 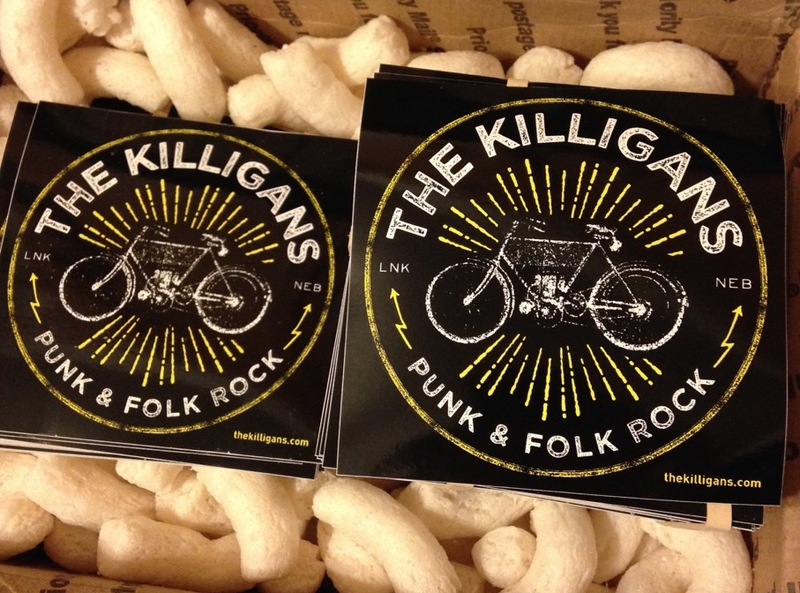 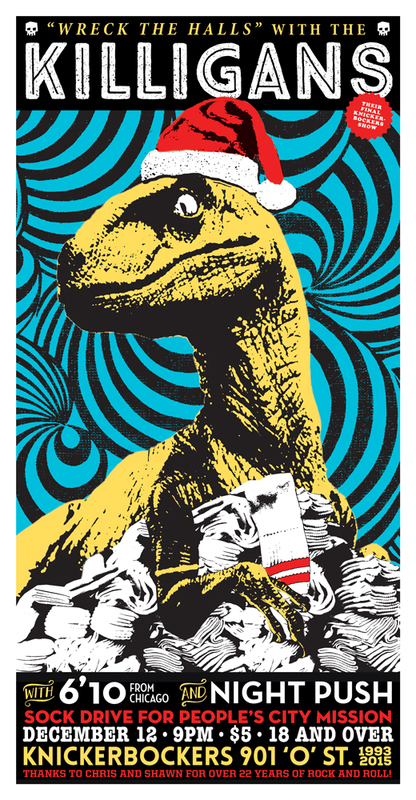 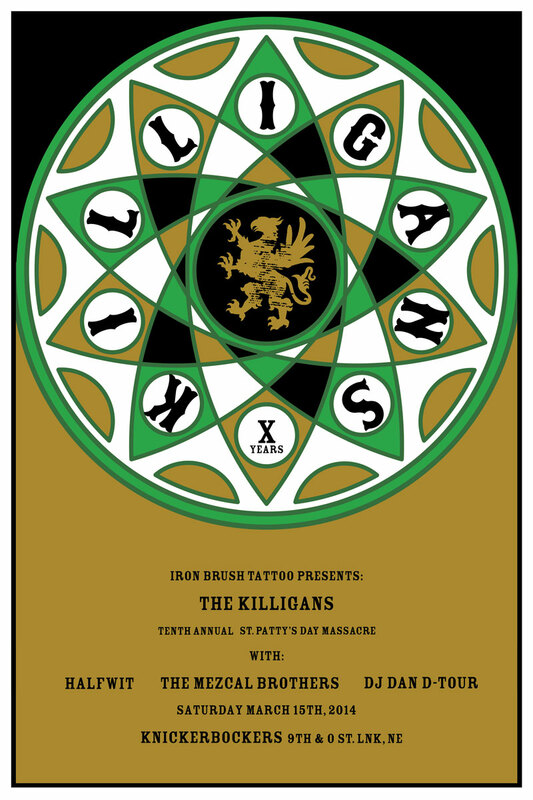 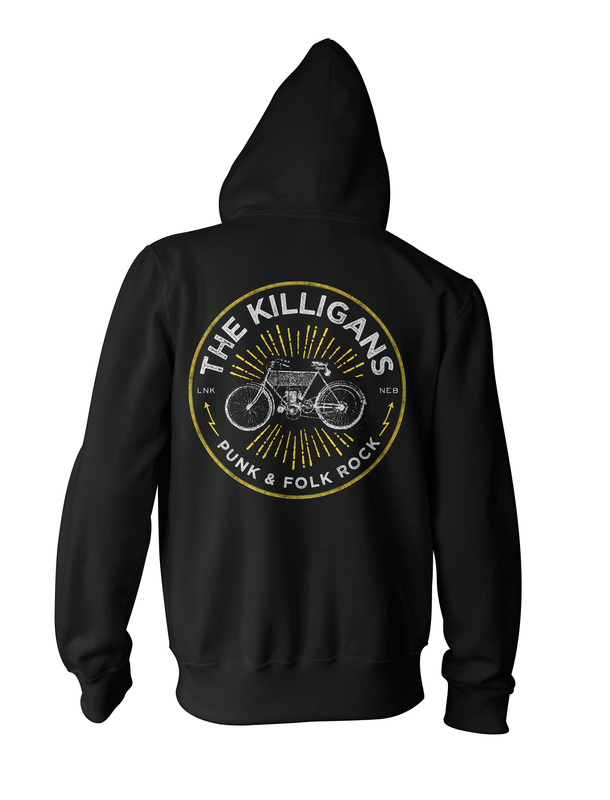 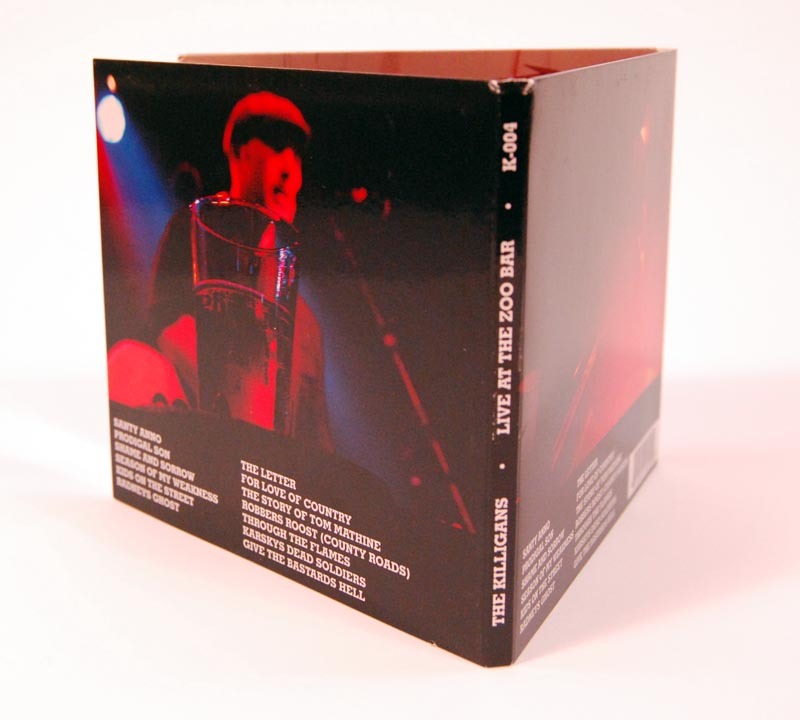 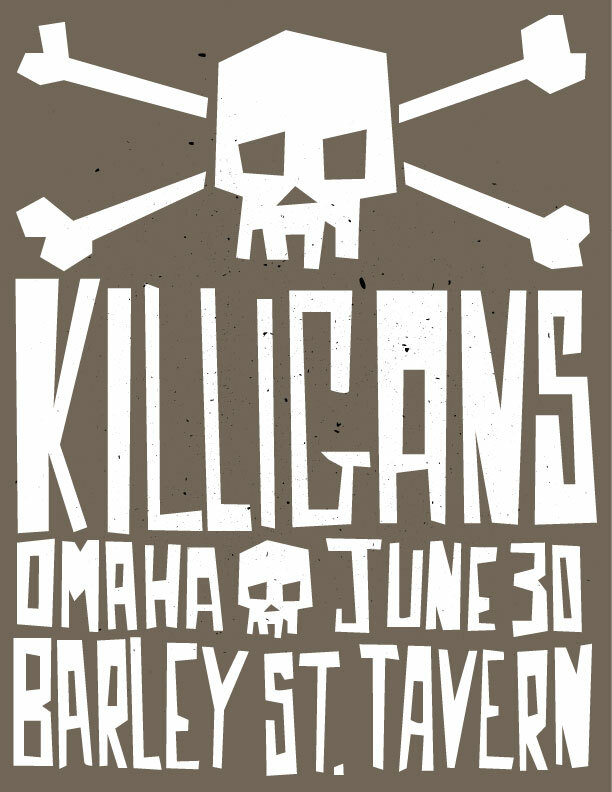 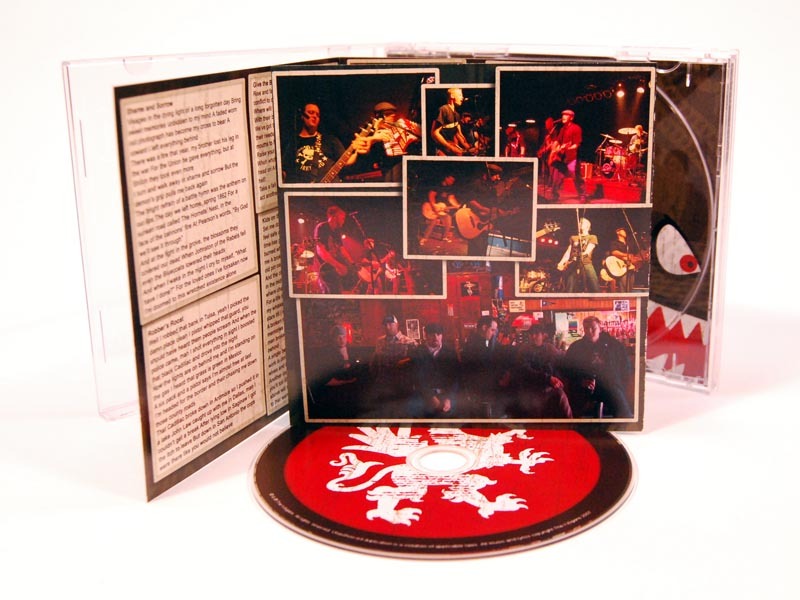 The Killigans are a folk punk americana rock band from Lincoln, NE. 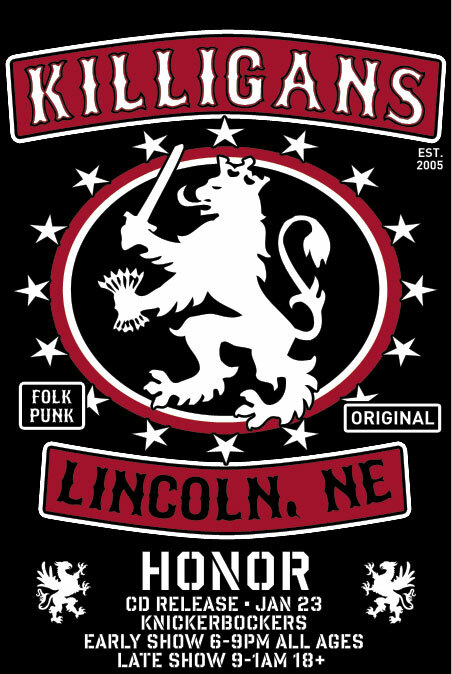 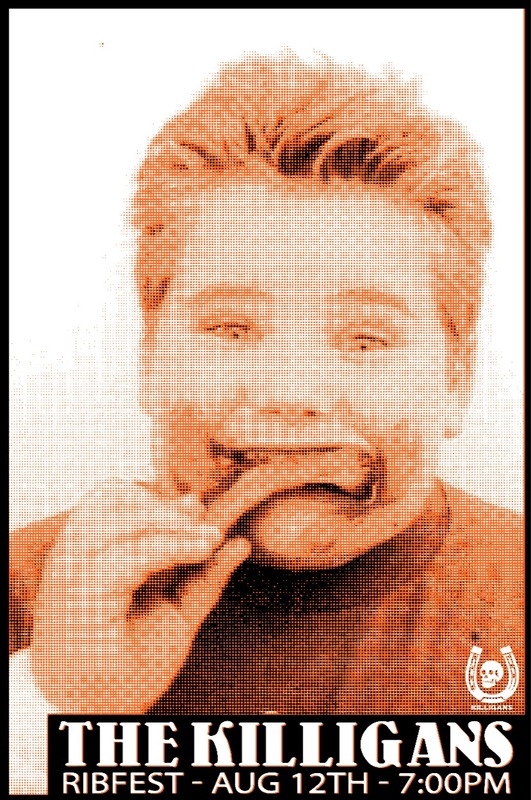 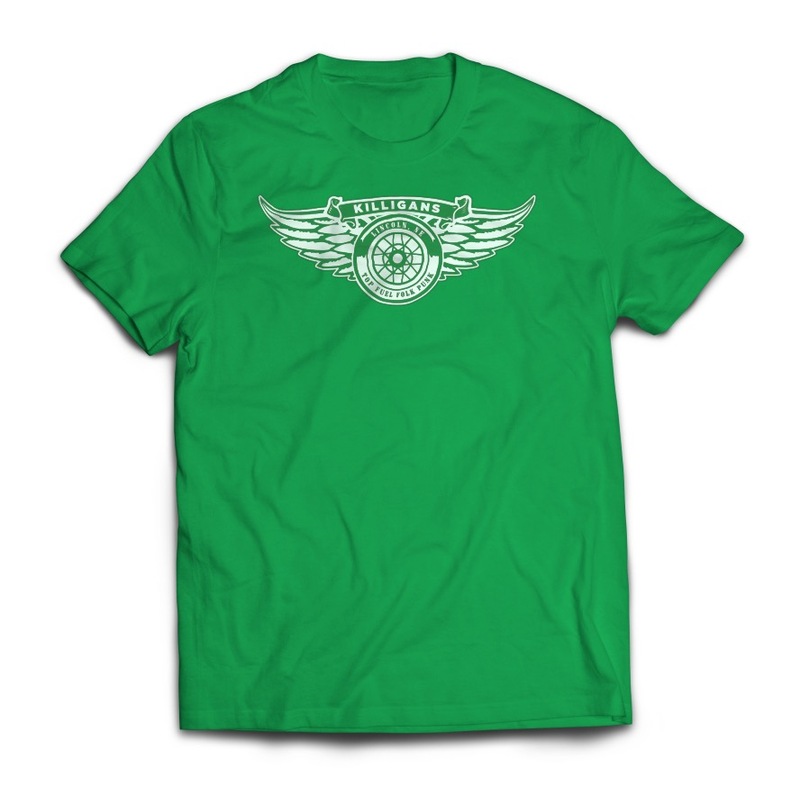 Founded in 2004 – they grown to be well respected and known internationally. 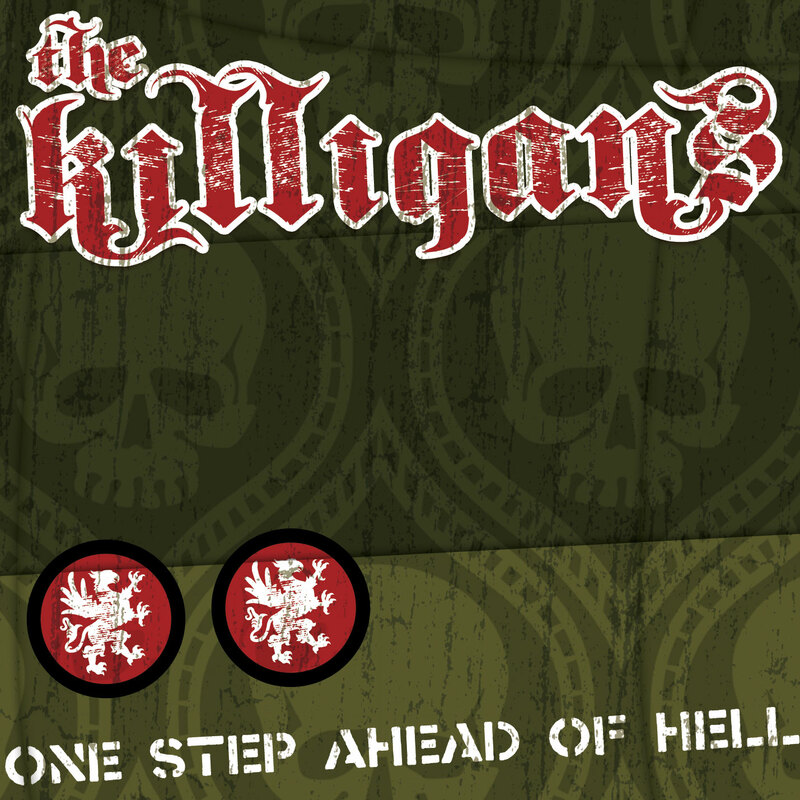 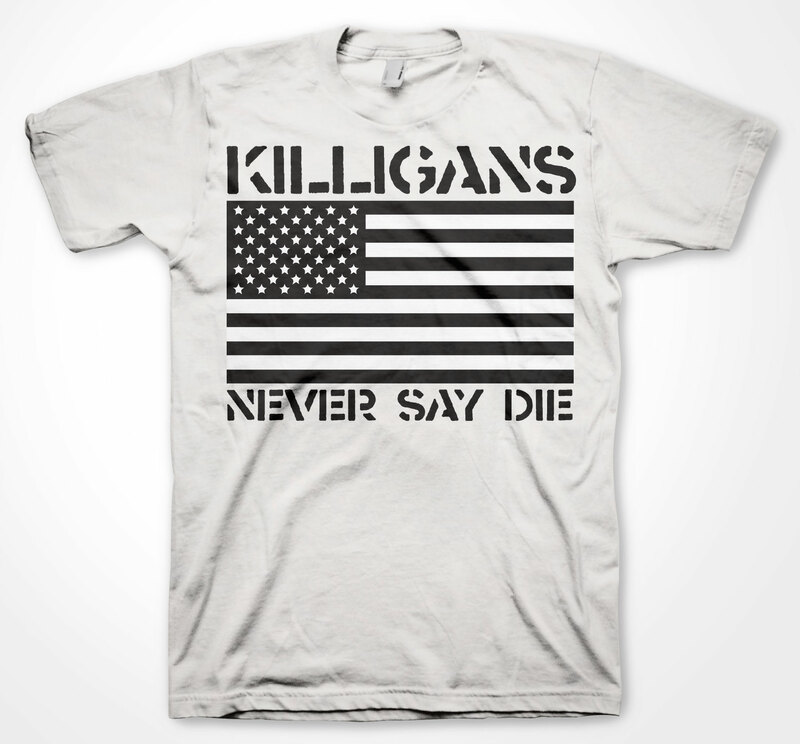 As the creative director, I have been creating design for the group since their inception, and even coined the name “Killigans”. 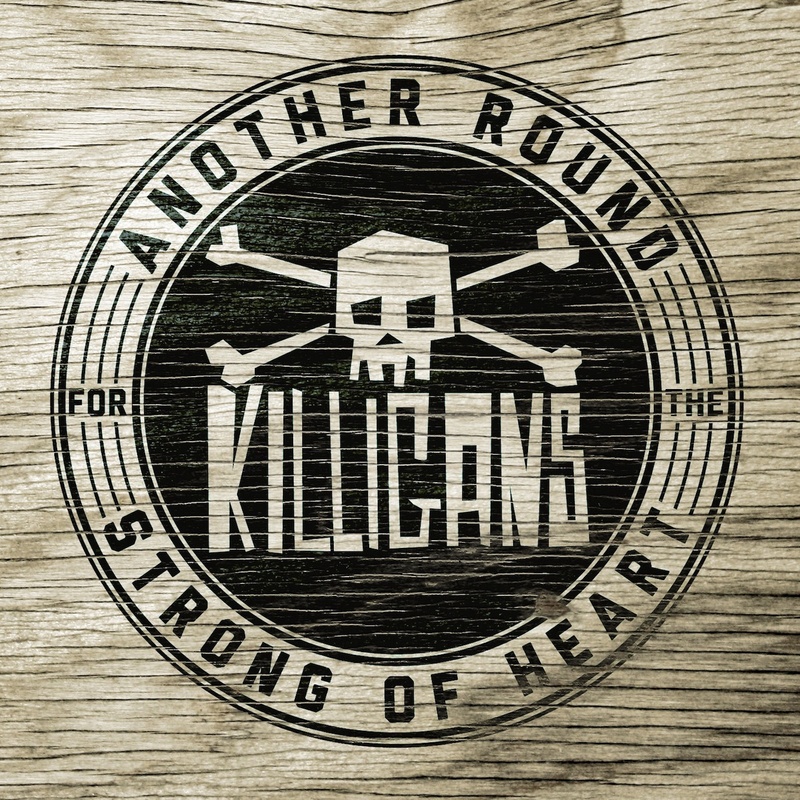 I have created campaign graphics for print, digital, interactive, social media, apparel, and produced several music videos. 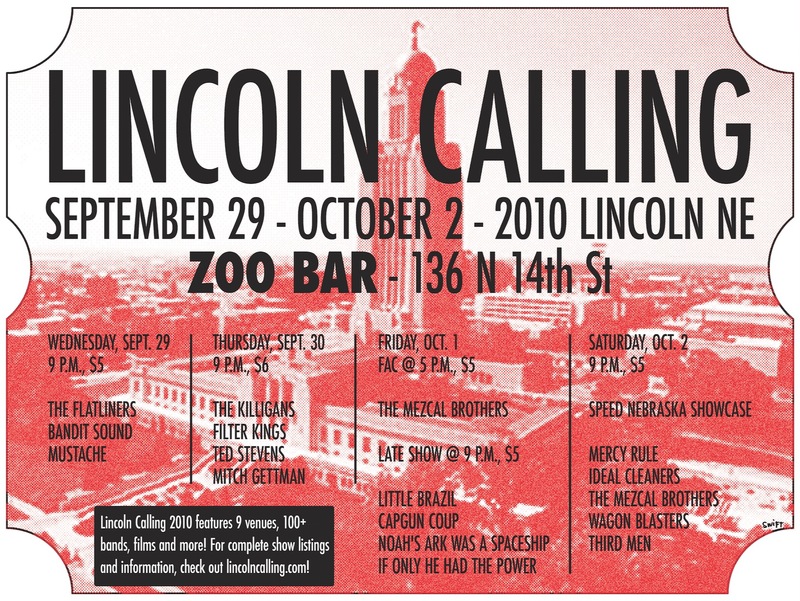 Cameras operated Aaron Jarzynka and Zach Bock. 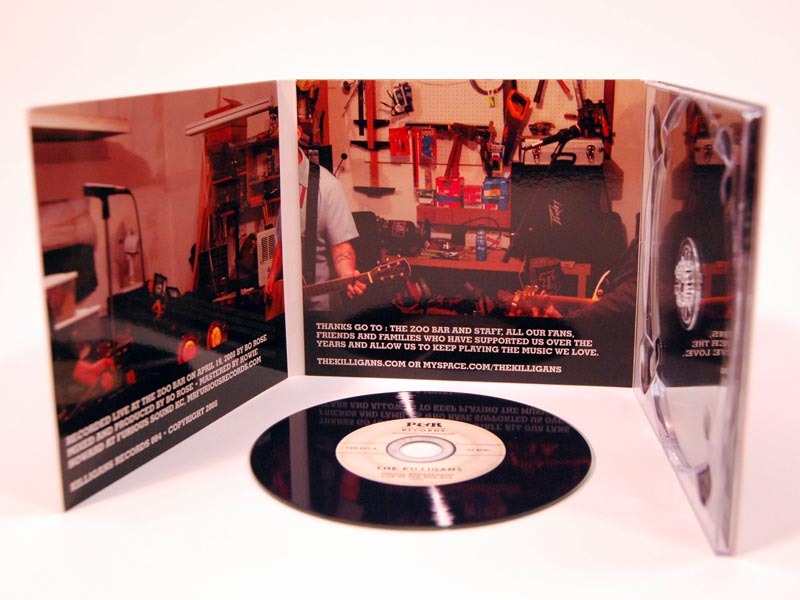 Produced and edited by Ben Swift. 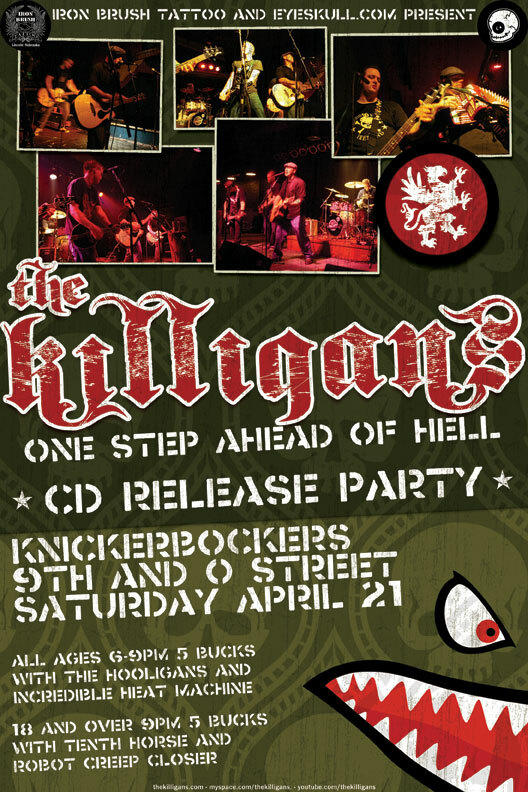 Filmed on location at the Killigans practice space. 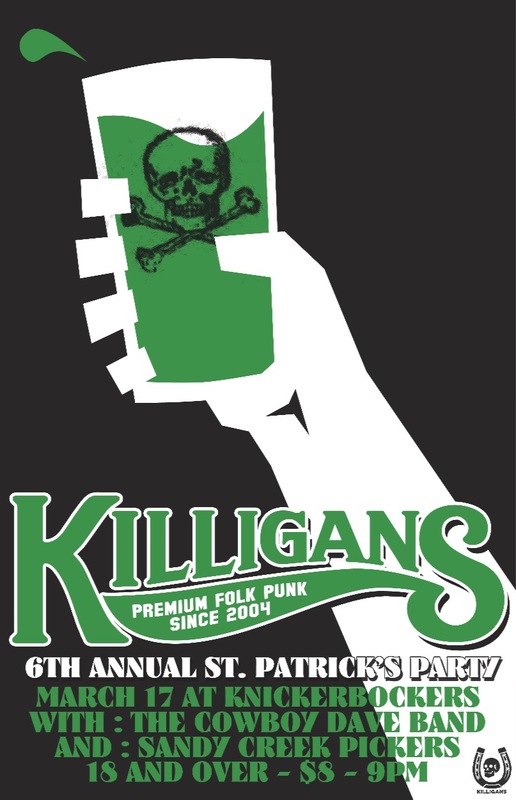 Photo of fan Jared Jozsa’s tattoo of my skull and crossbones design.